Ever thought about going sailing on your vacation next year? One of the best things about a boat holiday is the freedom that it gives you to reach those places that are hard to reach by foot/car/plane etc. There are so many beautiful places that we see on the big screen, but perhaps you have no idea how to get there or even that they were so easy to find! We have listed a few of our favourite movie locations to visit while on your next boat holiday. We all know the scene where Captain Jack Sparrow gets away from his execution and makes his escape on a stolen warship. 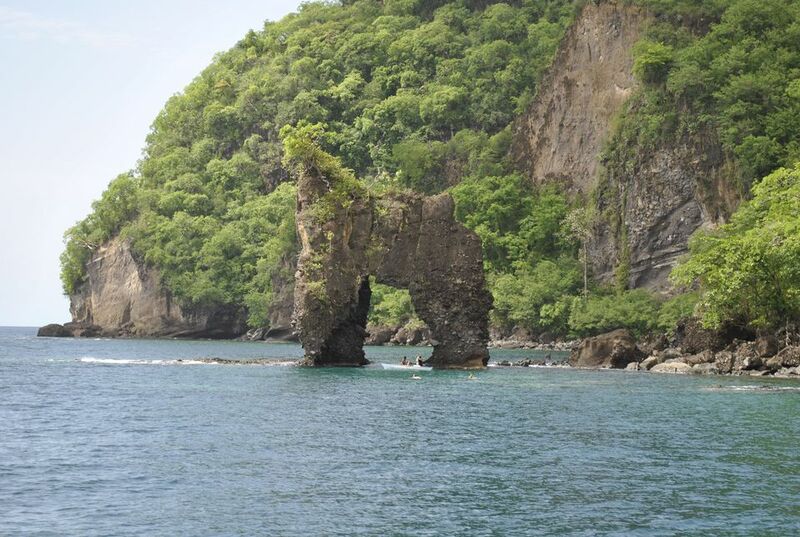 What you didn’t know, is that this scene was shot at Wallilabou Bay at the island of St. Vincent in the Caribbean. You can anchor at this particular bay and relive the day when the British almost got Jack Sparrow. One of the main things you will recognize is the offshore rock – ‘the Pirate Rock’ – where the British hanged the bodies of the pirates they captured. Even for those of you who are not fans of the Disney movie series, sailing around the bay of Wallilabou is a memorable experience you won’t want to miss. 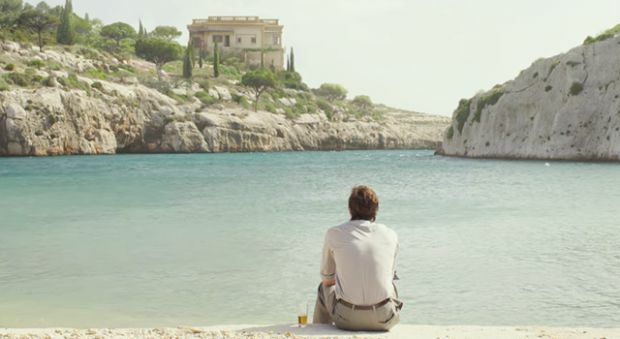 Some might argue that the story of Mamma Mia was kind of cheesy, but we can all agree on the beauty of the scenery. The islands of Skopelos and Skiathos, both part of the island group Sporades, play the main role throughout the Abba musical. 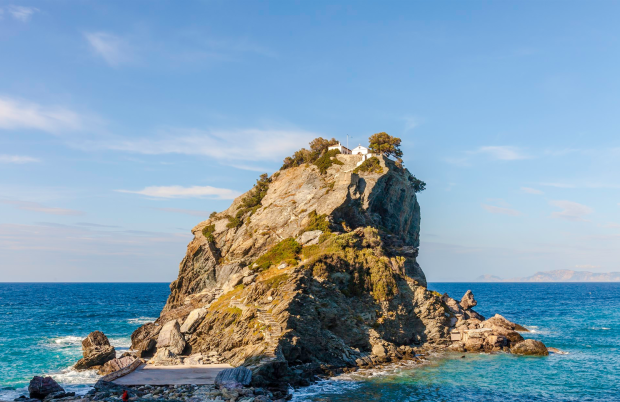 On the Northern coast of Skopelos, you will find the smallest harbour of the Sporades which was also the setting where Harry (Colin Firth) and Sam (Pierce Brosnan) anchored upon their arrival to the island. Another thing you should not miss on Skopelos is the lovely church where the wedding was filmed. You can reach Saint John on the Castle by climbing a bit more than 200 steps and we will promise you a stunning and magical view. Besides that, you can also go inside the church and explore the old items they preserve there. A bit more than 200 steps will make you reach the church and give you a magical view – Picture from Thinking Traveller. The third place on our list of our movie locations to visit is Thailand. Close to Phuket, lies the island of Phi Phi Leh which has gained a reputation from its beach because of the turquoise waters and the pretty white sand. Phi Phi Leh also plays a big role, of course in The Beach. The film, starring Leonardo diCaprio, was based on the novel from Alex Garland. The beach is called Hat Maya (or Maya Bay) and is only reachable by boat and from Phuket it will take you approximately 1,5 hours to reach ‘The Beach’. We recommend that you set sail early in the day, since you are probably not the only one who wants to see the beautiful scenery. And besides that, the earlier you go the more time you have to actually go sunbathing – because isn’t that what the beach is for? Check out our fleet in Phuket, Thailand. Brad Pitt and Angelina Jolie are the main characters of the 2015 movie, but without a doubt, it was Malta that played the biggest role. The beautiful island group of Malta is perfect for sea holiday, and when you decide to charter a boat in Malta, make sure to check the scenery of By the Sea. Sail around the picturesque island of Comino and anchor at Mgarr ix Xini Fjord, on the island of Gozo, where you will find the idyllic bay that was used to shoot parts of the movie. On the same island, you will be at the place where Dwerja (more commonly known as the Azure Window) once stood. This is also where the wedding of Khal Drogo and Daenerys was shot for Game of Thrones. Besides the scenery of By the Sea and Game of Thrones, make sure to read our local guide to Malta and your trip will be one to remember. 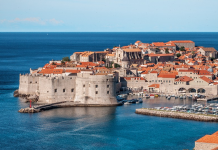 Do you know any other great movie locations to visit while on a sailing holiday? We are happy to put more destinations on our travel bucketlist. If you like to charter a boat and go to one of those four great locations, you can always contact us or send in a request via our homepage. Happy sailing! Next articleWhat is it like to spend Christmas on board?